The only module that allows you to import and update the product catalog from Prestashop Danea Easyfatt in managing every aspect of synchronization without limits. 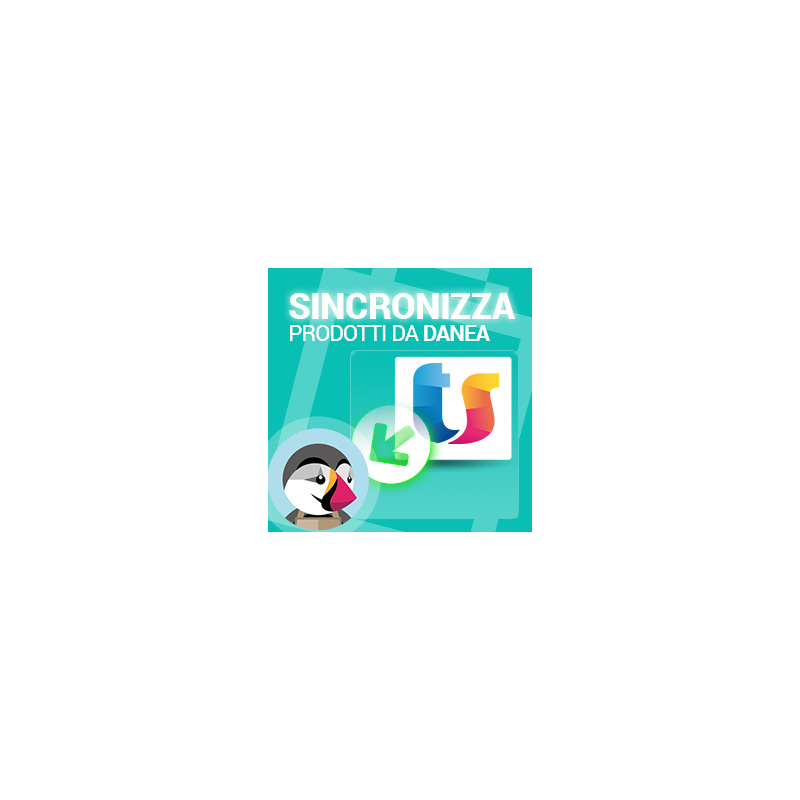 The module allows you to synchronize the product catalog from Prestashop to Danea with maximum flexibility in deciding exactly what data import / update and which to exclude surgically. Danea variants are associated attributes Prestashop. The new algorithm allows you to import update catalogs without any size limitations to the maximum speed. Choosing which fields to exclude during the import globally: EAN-13, UPC, name, short description, description, related categories, manufacturer, taxation, default price, eco-tax, suppliers, width, height, depth packing, packing weight , specific prices, quantities. Set "Price from Danea / rounding with or without taxes"
[new v1.9.+] New UI. Up to 8 subcategory creations. Simultaneous multi-language import. Danea 2017.36 optimized. [new v1.9.5+] New option: "custom reference combinations" that automatically generates a reference code if it is not present in the combinations in Danea. New option: "Specific price as" to choose discounted prices in% or fixed value. New option: "Disable / Enable zero Quantity Products" in Danea. 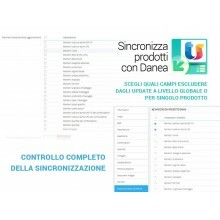 [new v2.0.0 +] Advanced multishop support: Allows you to configure all options and import products on single shop, indispensable in B2C / B2B configurations from a single Danea catalogue. Creating "features" on Prestashop product by Danea Free Fields. New option: "Disable Fastbay" on sync that optimizes the speed. To get an allround we have available modules "export products to Prestashop Danea" and "export orders and customers Danea". With these tools you will be able to better manage your e-commerce infrastructure. The installation and configuration of the module is very simple, you'll be ready in a few minutes. More information is available a detailed guide PDF. In case of problems our customer care is at your disposal to assist you and answer your questions. The module is compatible with Danea Easyfatt 2016 / 2018 latest release (Easyfatt Enterprise One).